You can Recycle anything you wish - and this can be something as simple as reusing a bit of ribbon! You have until Friday 14th November noon GMT to enter. Just please follow the rules in the sidebar. You don't have to use our products to enter! THE WINNER OF THIS CHALLENGE WILL RECEIVE A COPY OF THIS BRAND NEW COLLECTION WHICH IS WORTH £11.99! Anjie - I've done a few of those word picture for people lately and I take the mount out as I don't use it. So I have a few of these mounts and so thought I would use one of those. 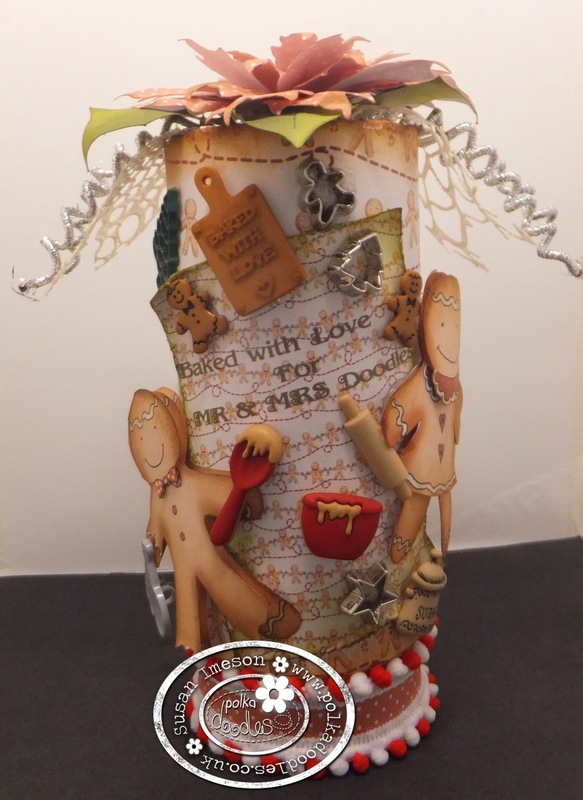 Yvonne -Well I was a but stumped for this challenge but my lovely fellow teamies reminded me that I didn't need to overthink this theme. I had a rummage through a few drawers and in my bedside cabinet I found this. I have no idea what it is or where I got it from, but I thought to myself, I can use this, I'm going to call it gauze ribbon. I didn't want to make a card for this, so I decided to dig out the tissue paper and make a candle. I simply printed the coloured image from 'Work & Play; Festiv Hollibobs' which is available as a CD-Rom, a digi download collection. 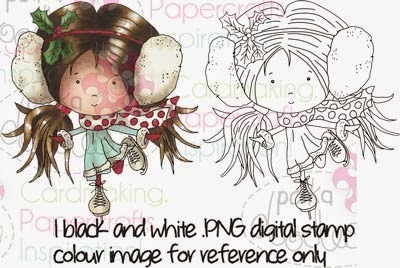 If you like the image, she is available as a single digi image or as a rubber stamp. Once printed onto tissue paper, I cut round the image, laid it onto the candle, wrapped some greaseproof paper round it and used my heat gun. 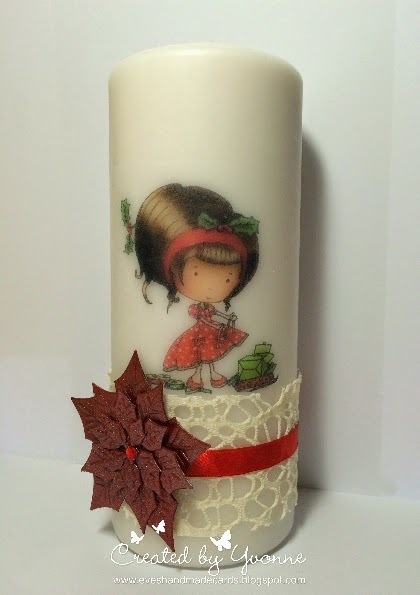 I then wrapped my found ribbon round the candle and then overlaid some satin red ribbon on top. I quickly cut a ponsietta out, sprayed it with glitter spray and glued it on. 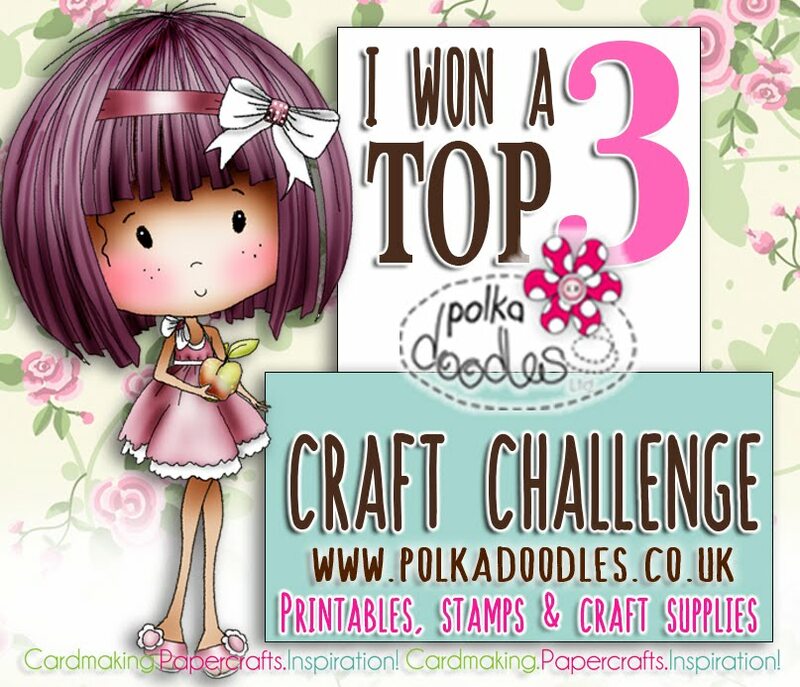 ...and then I found out what it was - it is May Arts Web ribbon from Polkadoodles HERE!! LOL! Susan - I just could'nt think what to recycle ! 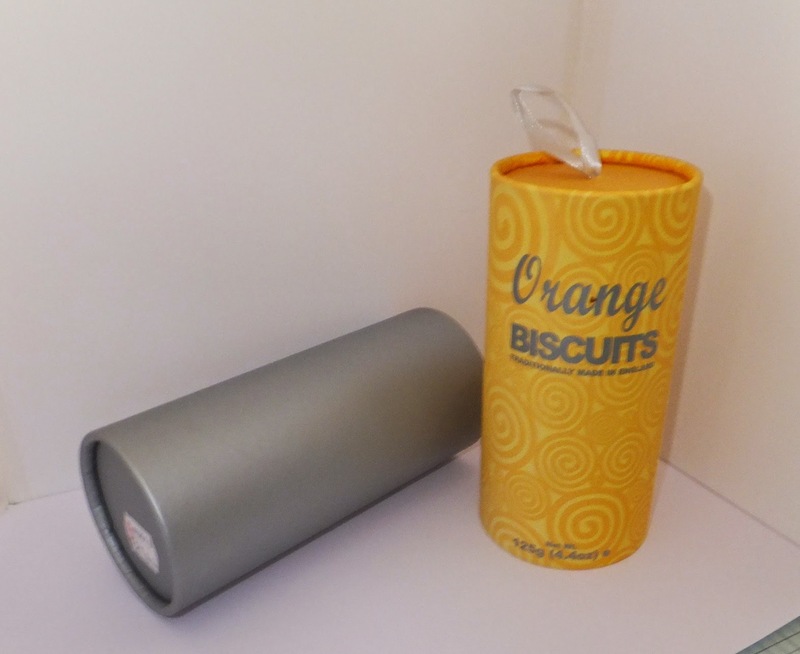 anyway I found a tub of yummy Orange biscuits so I made a cup-pa sat down and ate the lot and this is what I was left with and now the fun begins ...! 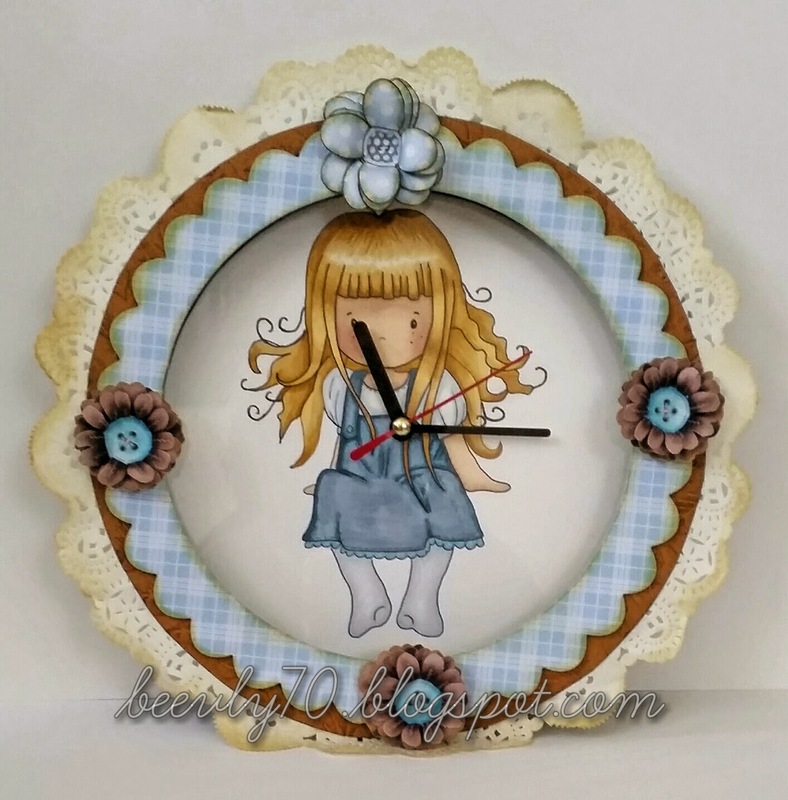 .....I coloured a digi of Piper with my Graph'it Markers to make the clock face. Details on my blog. 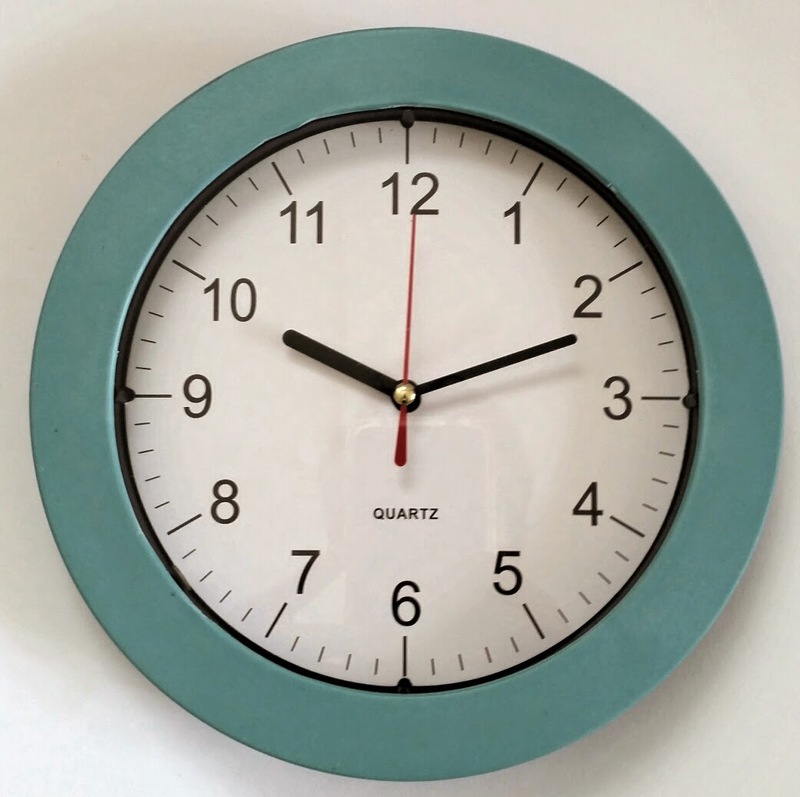 I think it's certainly brightened up an otherwise rather dull and boring looking clock. I can't wait to see what you all come up with this fortnight. Jenny here with my project for this recycled challenge. 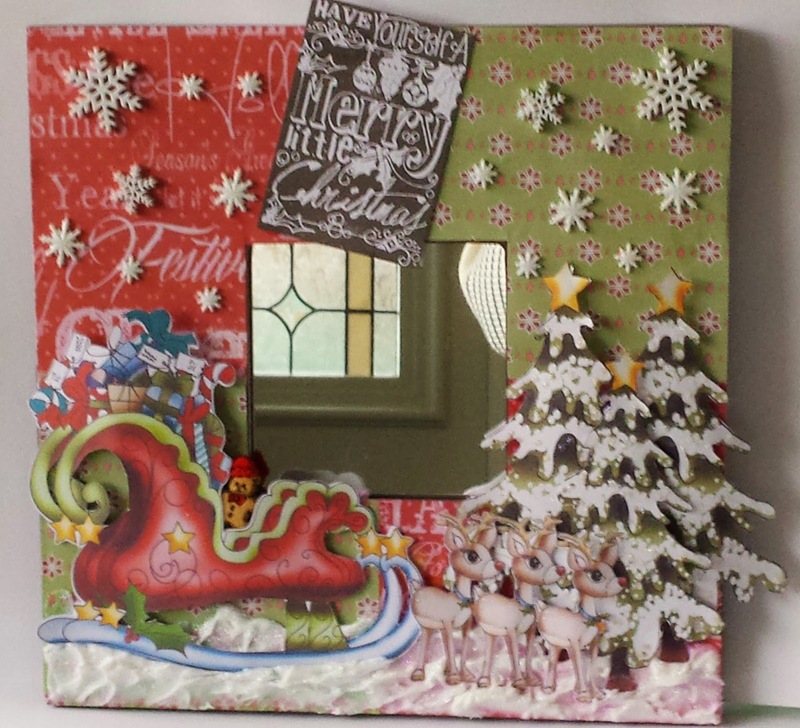 I have used one of the famous IKEA mirrors and made it into a Christmas mirror for my friends granddaughter. 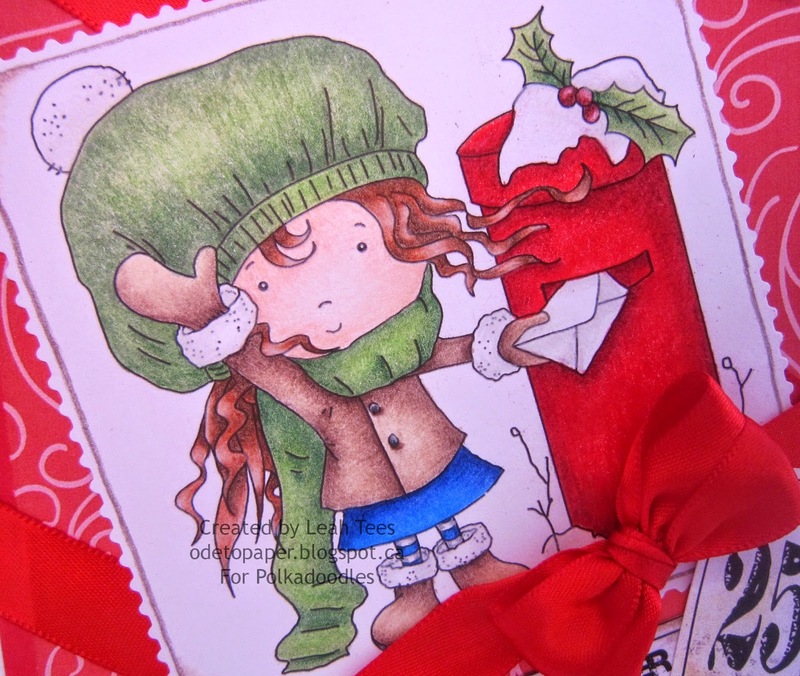 I have used the Festive Hollybobs for the project with one of Nikky's chalkboard stamps. I printed out the backing papers and covered the frame with them. 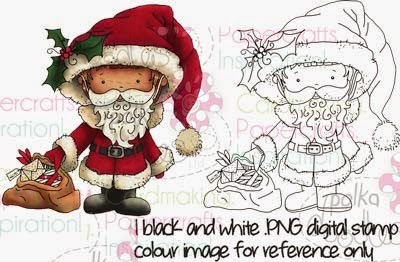 I was going to include the Santa digi but after getting this far decided he wasn't really needed. 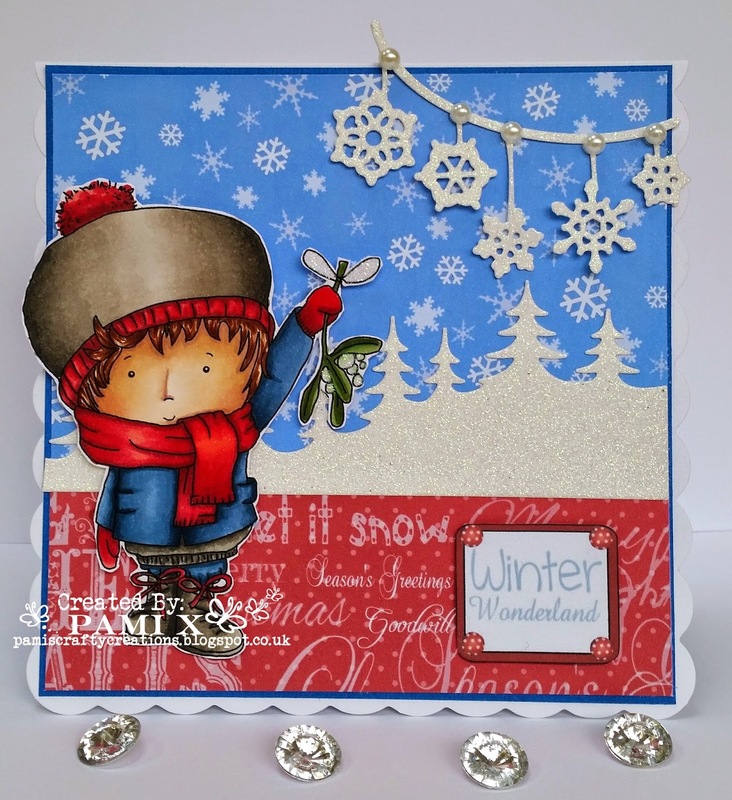 The snow is done with a coarse texture gel and sprinkled with glitter but it doesn't show in the picture, there are more details on my blog. Nothing throws ahahah :) Tutorial on how to do this mini can be found on my blog here. WOW! Fantastic creations from the Design Team this week. 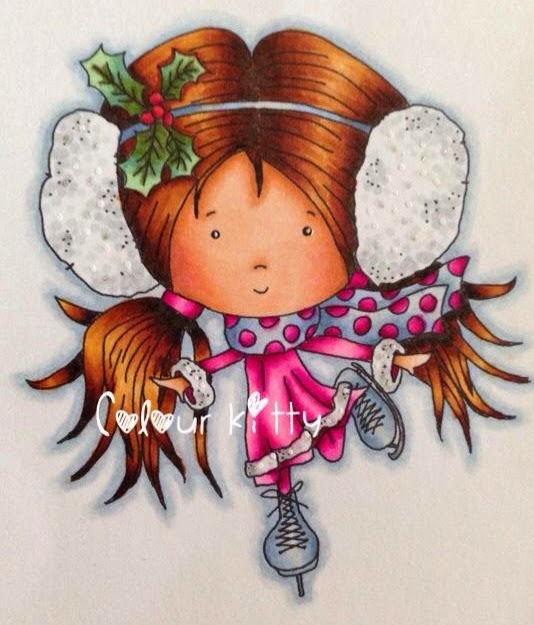 Welcome back to another day of lovely Colouring Inspiration from our Digi Queens team! I have coloured this image with copic markers using only the Cool Grey tones. 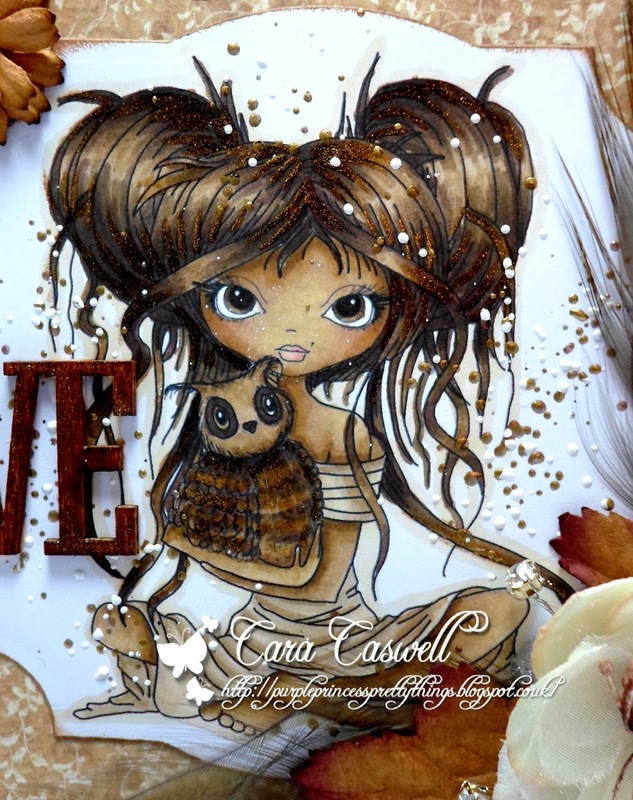 Cara.....I have used the stunning Octavia Best friends Digi image today and coloured her up in Sepia tones using my Graph'it markers and added highlights with my gold glitter shake marker. 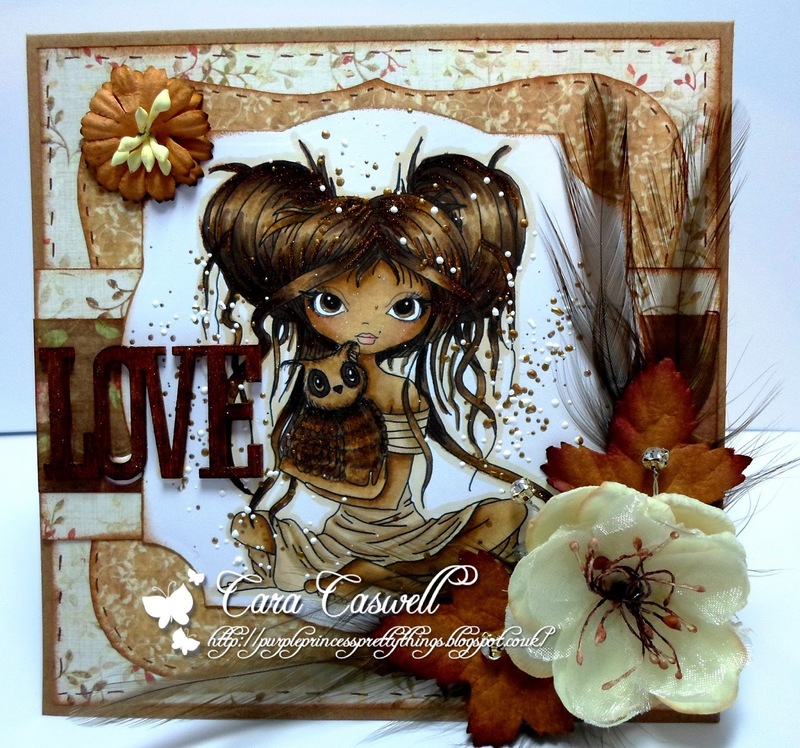 I was going for an autumnal theme and chose feathers and leaves as my embellishments and added vintage gold and white frantage powder to finish the card. Janine - hi everyone! 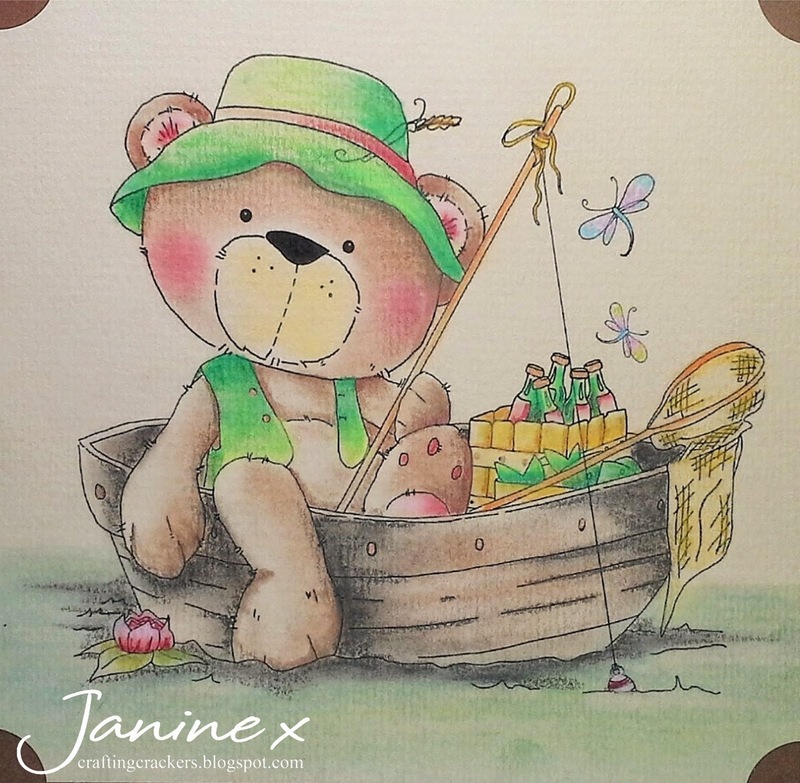 I just love the Winston CD and I couldn't resist this fabby digi stamp of Winston chillin' out in his boat; I think he's so cool! To colour this gorgeous image I thought I would take inspiration from Nikky and use my Pan Pastels - it was a bit of a learning curve but I'm happy with the results. However I did use a few pencils in certain areas to add a little extra depth. I decided to make it a CAS card so the background layers are quite simple. To finish off I added a few hand drawn fish and some buttons. I used the following Pan Pastels: Turquoise, Bright Yellow Green, Phthalo Green, Burnt Sienna Shade, Permanent Red, Permanent Red Tint, Violet Tint, Titanium White, Diarylide Yellow, Black. 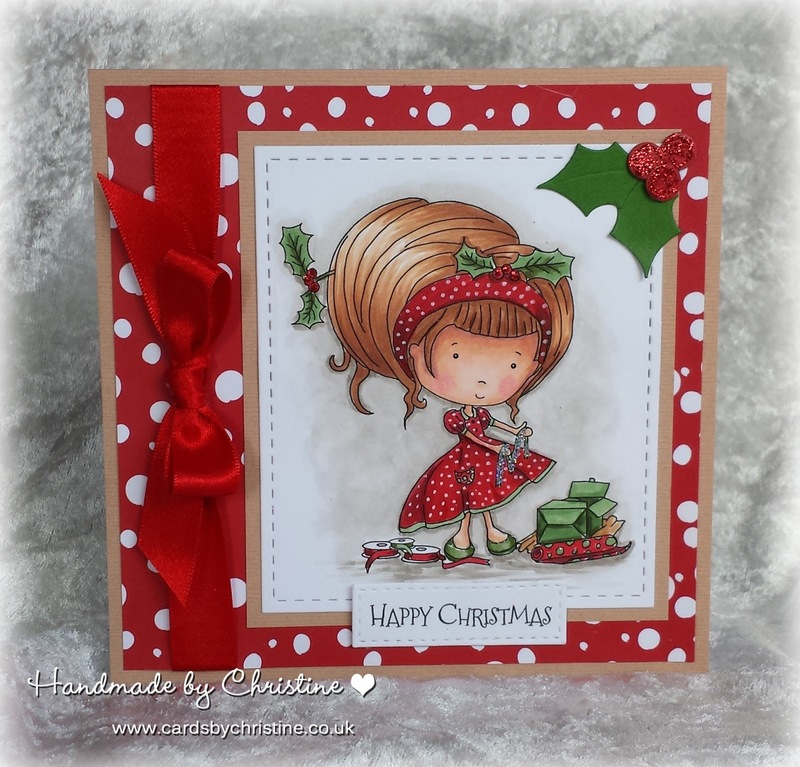 Christine - Hi peeps, another Christmas card from me! 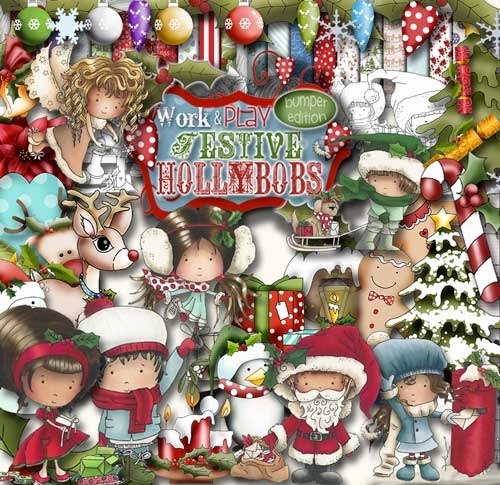 I've used the gorgeous 'Presents' for my card this week from the Work and Play 5 Festive Hollybobs Collection CD. I also used some digi paper from that CD too. I do love colouring in red - though it's such a tricky colour - it can so easily bleed. I'm also experimenting with my background shading - going for slightly deeper to make the image stand out more. 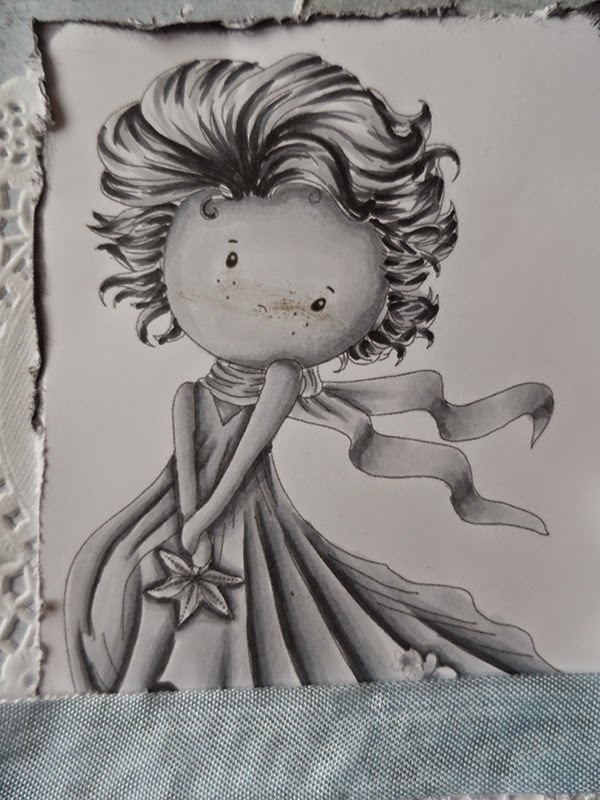 Like her dotty dress and headband? Easy to achieve with a white gel or poster paint pen. 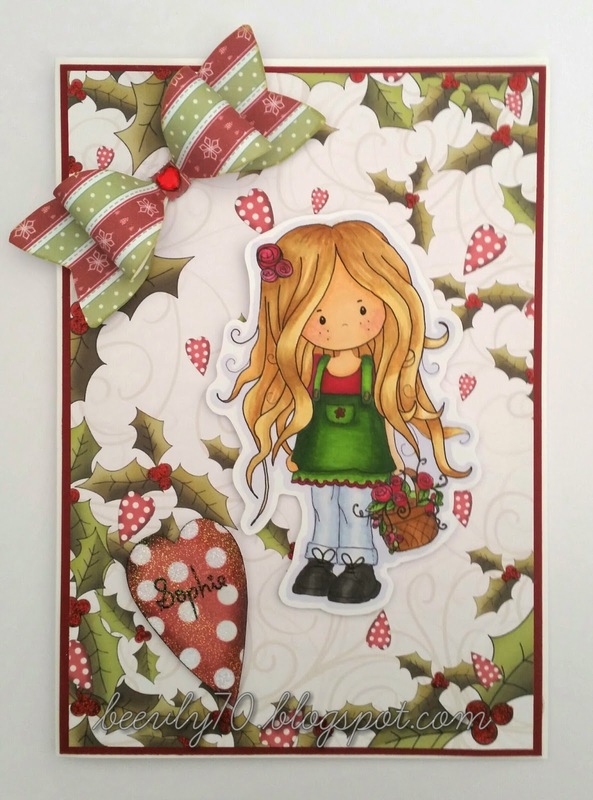 I did the sentiment on the PC and used Dies for the image, sentiment, & the holly. 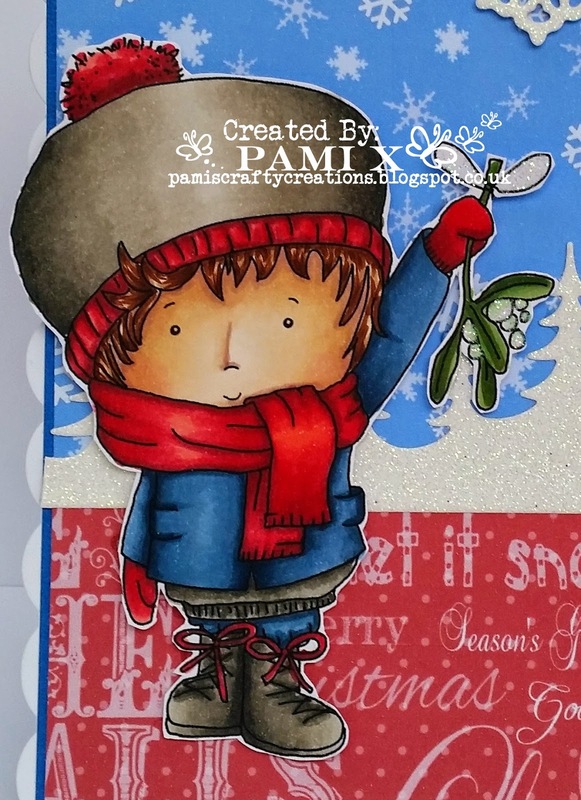 It's such a wonderful Christmas collection brim full of fabulous-ness! I used a Sharpie Poster Paint Pen for the white dots. What fabulous creations the team have made! Super duper lushty! 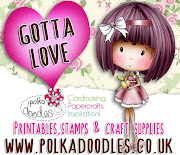 We'll be back on Friday with more inspiration and our Polkadoodles challenge but in the meantime don't forget to pop on over to see what the Digi Choosday team are up to today HERE. See you Friday! You have until noon GMT Friday, October 31st to enter. The winner of the Week 40/41- Anything but square It is at the bottom of this post. Before we have some fun, a quick reminder - below this post HERE is something special you might like from the Digi Queens, and don't forget to head over to the Digi Choosday blog HERE where you can also find something special because it's our First Digi Choosday Birthday too! Bonuses all round this week! 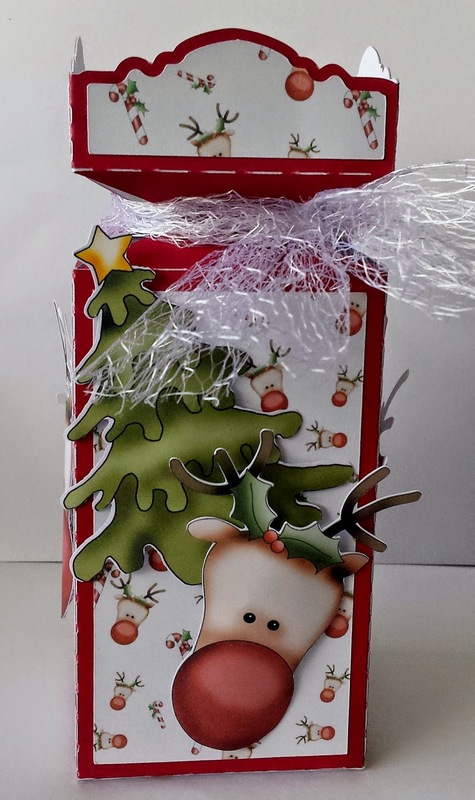 Jenny - I've used the Festive Hollybobs for this little cracker style box, I am going to make some pinwheels to stand inside them and use them as place settings for Christmas. 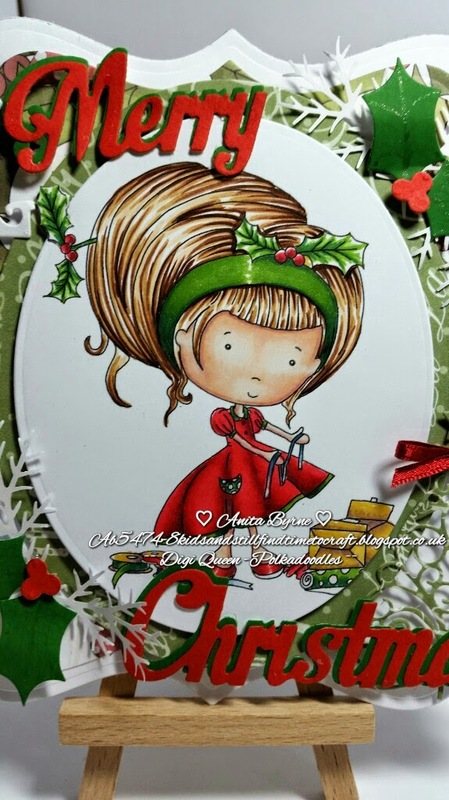 Bev here with my Christmas fun card, I decided to challenge myself by using an everyday image 'Amelia with basket' and see if I could turn her into something festive. I coloured her with my Graph'its all colours used are on my blog. The paper, bow and heart are all from the fabulous resourceful Work & Play Festive Hollybobs all I've added from my own crafty stash is a gemstone in the middle of the bow, some glitter glue on the holly berries and some irridescent embossing powder on the heart. Yvonne - Hi there!! 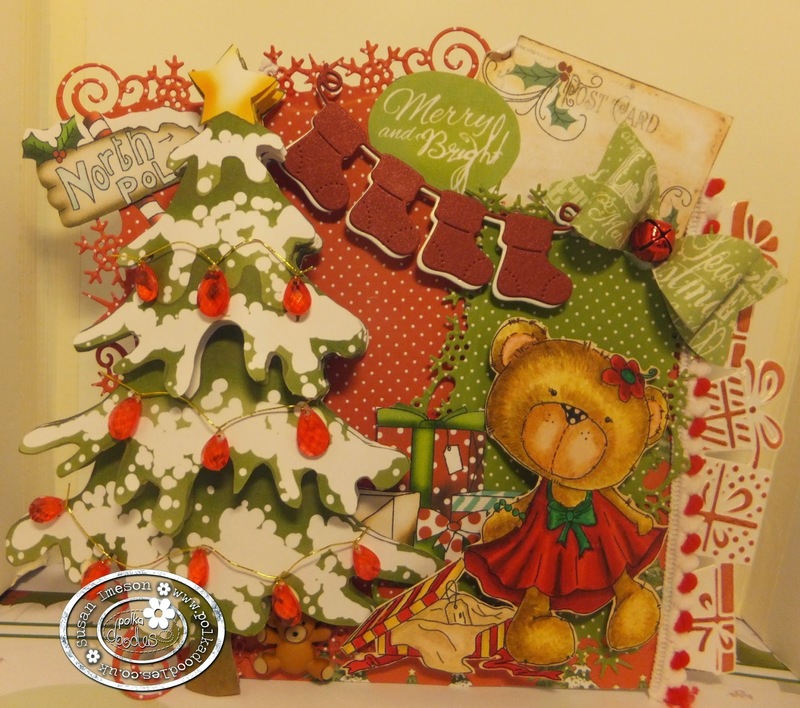 Well I decided to make a fun little Christmas card using papers and embellishments from Work & Play Festive Hollibobs, which you can get as a CDRom or as a digi download bundle. However, I love the new Winston Bear Collection and wanted to use 'Etty's New Dress' as it demonstrates how versatile the collection is.Winston is available as a CDRom, a digi download collection or as an individual digi stamp. 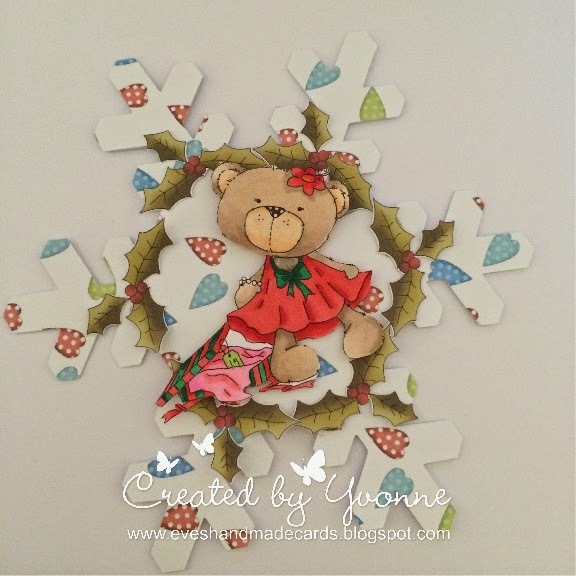 I enlarged the snowflake embellishment on my Silhouette and then cut it out twice to make a card. 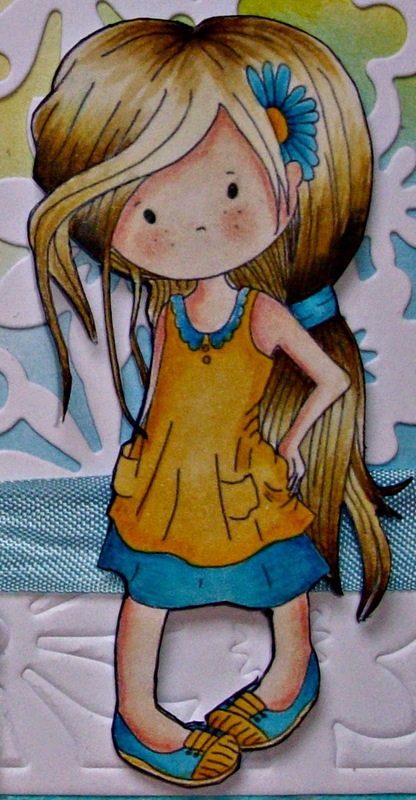 Added the embellishments and coloured in Etty with my Graph'It Markers. 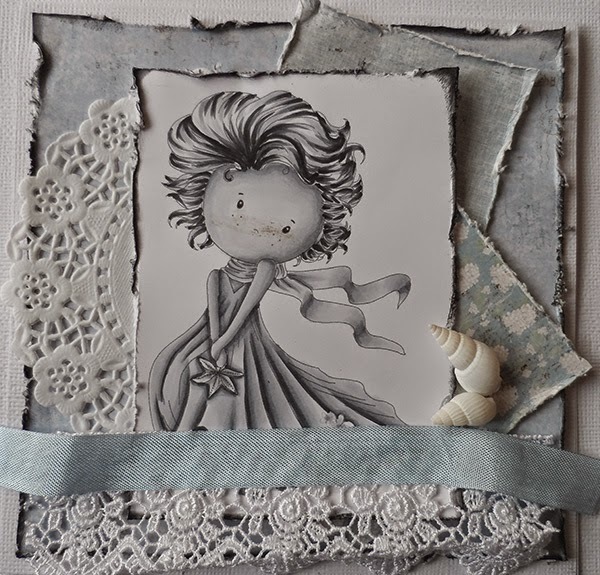 I have also used Papers and embellishments from the Festive Hollybobs CD or Download Here and.Hope this gives you a little inspiration . 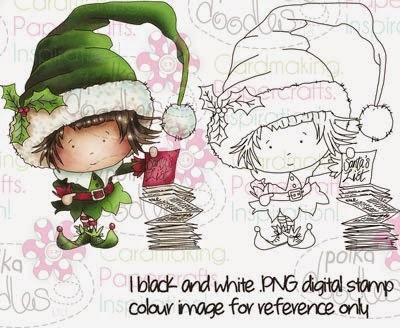 Anjie - I was challenged to make a Christmas card without using anything from any of the Christmas collections. At first I thought how the heck am I going to do that? Then I thought of this paper from the Pretty Sweet Collection, and thought if I glittered it it would look Christmasy and I think it does. (You can't really tell on the photo). The image is also from the Pretty Sweet Collection or is availalbe as an instant download here and is coloured with my Graph'It Markers. More info on the things I have used is on my blog. 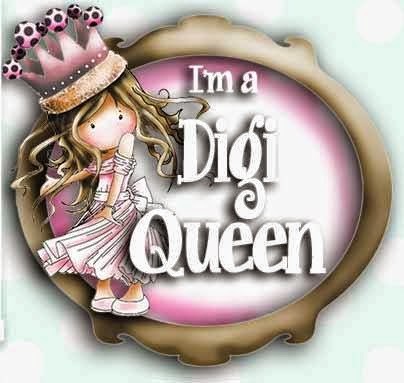 Welcome back to another day with the Digi Queens! Let's see what the team have made for us this week! Hair : Burnt sienna, Raw sienna, Oatmeal. Skin : Almond, Blush, Oatmeal, Soft peach, Dusky Rose, Pastel Pink. Reds : Burgundy, Crimson, poppy, lipstick red. Greens: Holly, Pine, Forest green. For the added sparkle wink of castella clear sparkle. 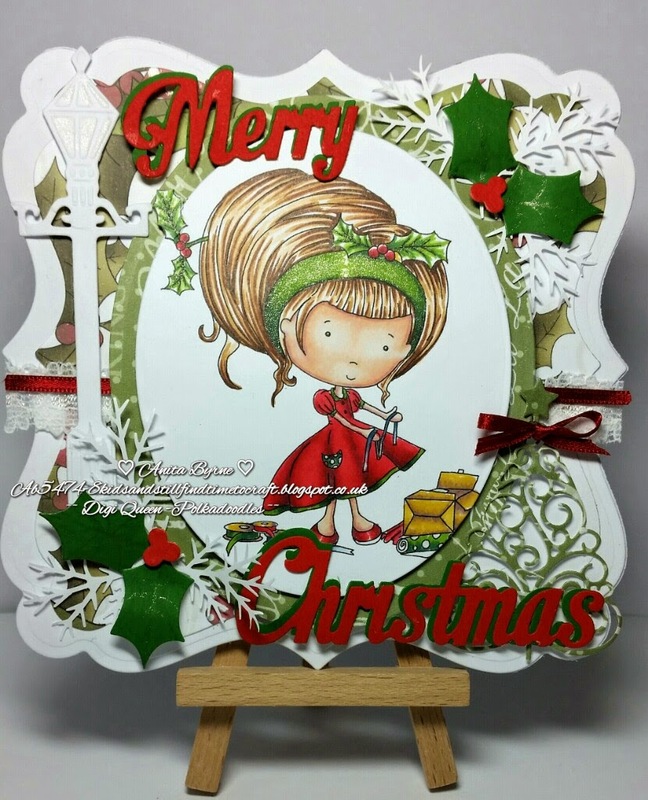 Victoria here with my Christmas inspiration for you! 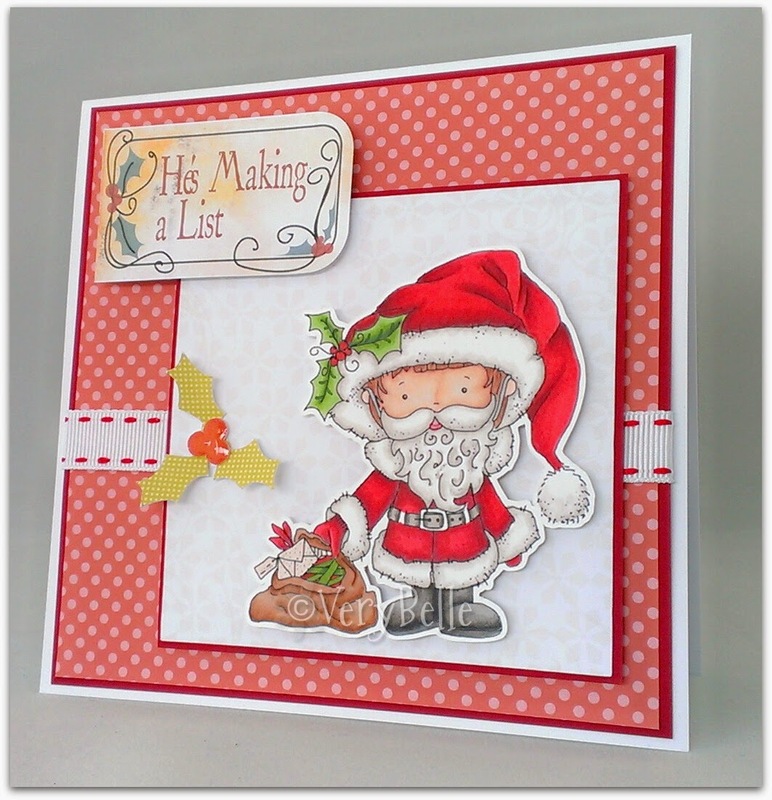 I've used Santa and papers from the Festive Hollybobs collection to make my card this week! 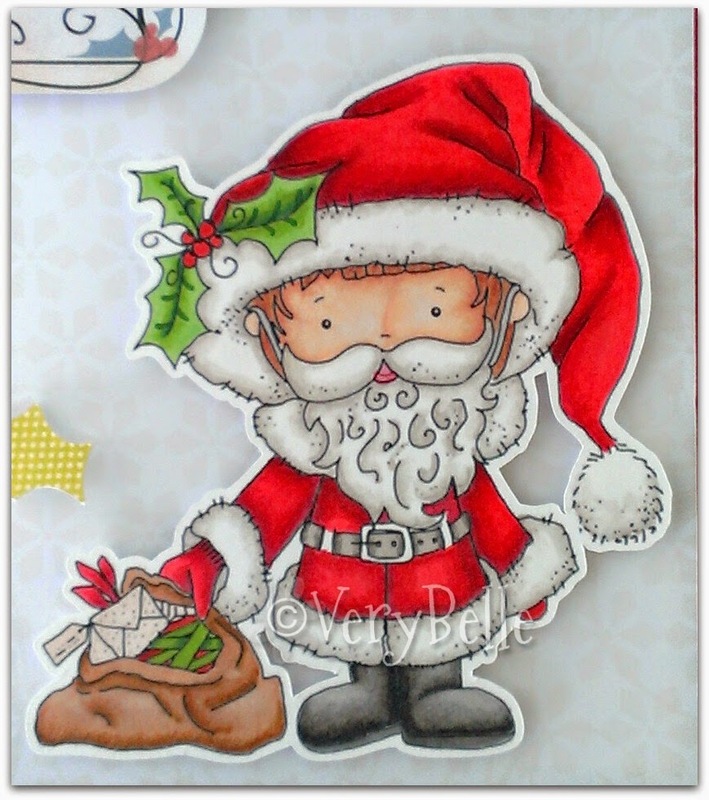 I coloured this image using ProMarkers - Santa's suit: Lipstick Red, Berry Red, Crimson; boots: Cool Grey 3,4,5 and black; bag: Tan, Cinnamon, Burnt Sienna; holly: Apple, Forest Green, Pine; fur and beard: Warm Grey 1 and 2. 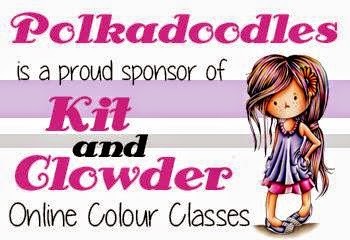 I coloured with copies and here are the colours I used: Skin - E000, E00, E21, E11, E04, R20; Hair - E29, E25, E21; Clothes - B99, B97, B95, B93, R59, R46, R29, R21, W1-W9. Jackie here .. and my Christmas theme card also. 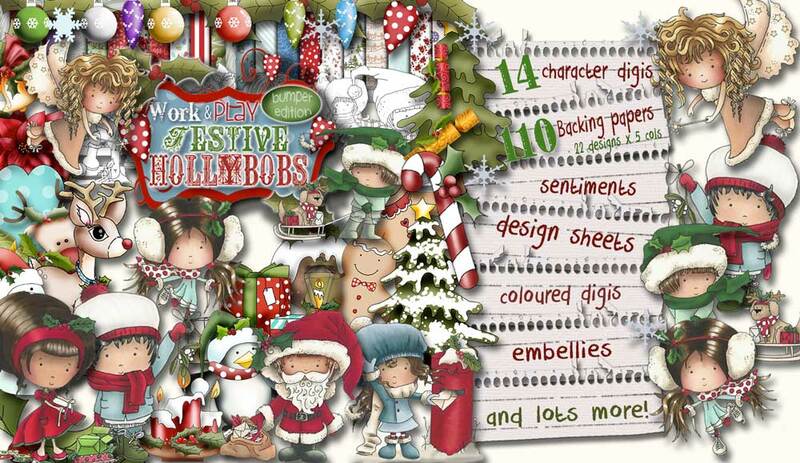 I have used Little Elf and papers from the Work and Play 5 CD Festive Hollybobs Collection. I have coloured the image with copics. Skin E00, E11, E13, R20. clothes, BG000, BG01, BG02, BG09. C1, C3, C5, C7., G20 and G24. 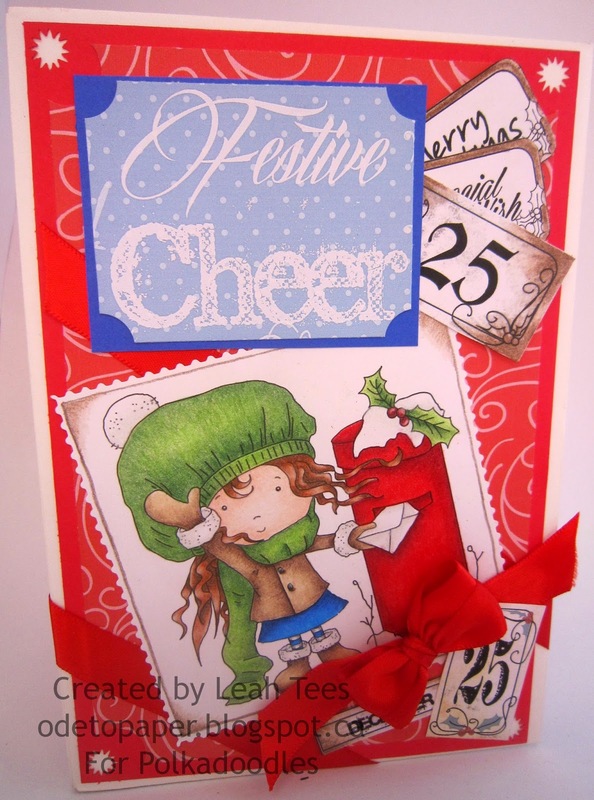 Leah here with my Christmas make this week. 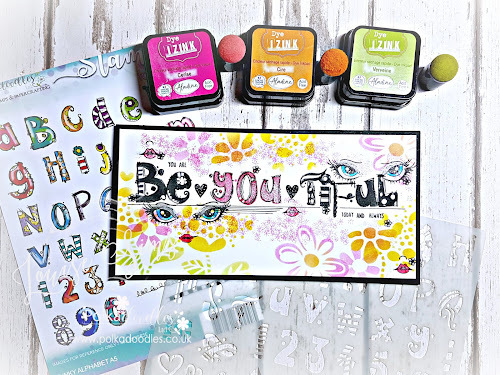 I used the Hollybobs Mailbox digital stamp, along with papers and sentiments from the Work & Play 5 Collection - Festive Hollybobs :) This piece is actually an envelope mini, but I can't show you all of it here...you'll have to check out my blog to see it all! 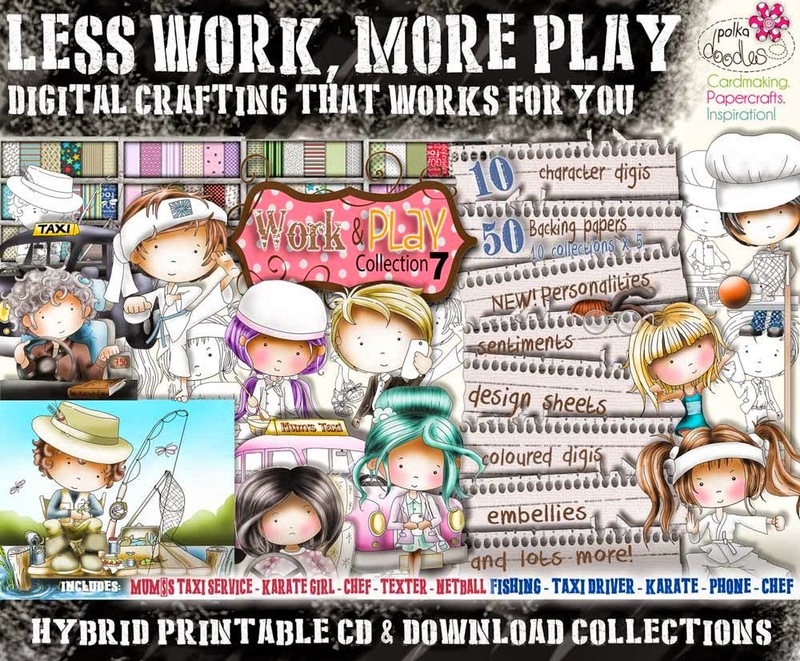 Lizzy- Hello crafty peeps! 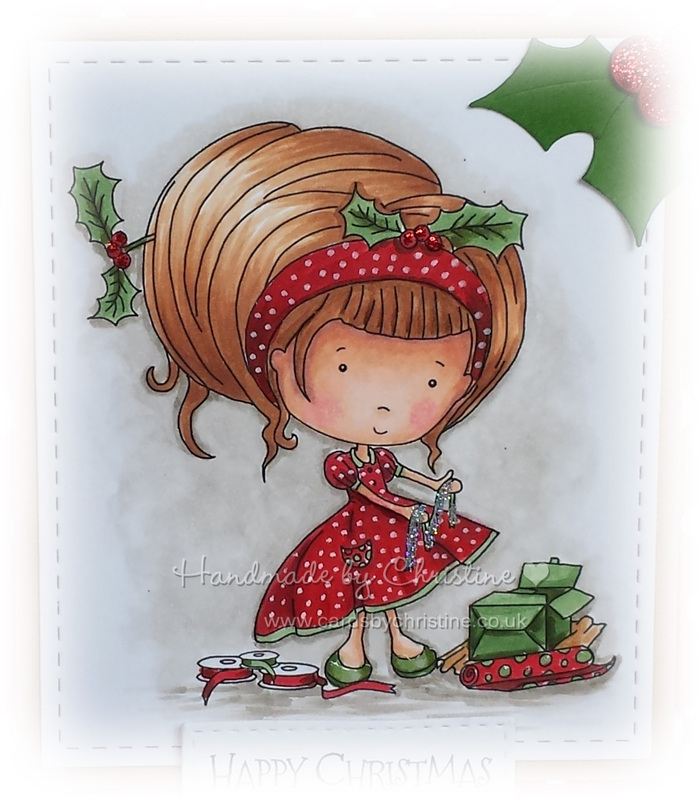 I would like to share my very girly christmas card with you all today using the Hollybobs Skater. I have wanted to use this little sweetie from the first moment I saw her. 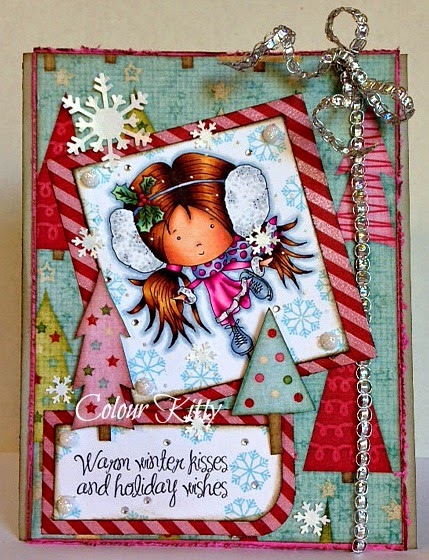 She is available as a digi, a clear stamp, and is in the complete Work and Play Collection 5 Festive Hollybobs also. Wow!! Love all the inspiration from the team!! 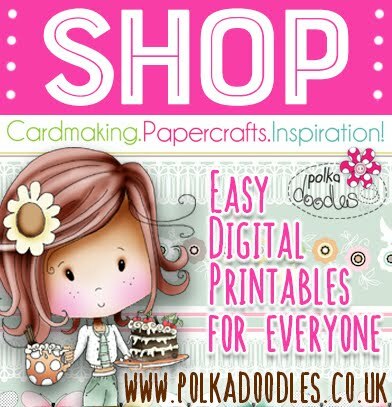 Make sure you pop over and see the Digi Choosday gang because they have yet MORE inspiration for you today! 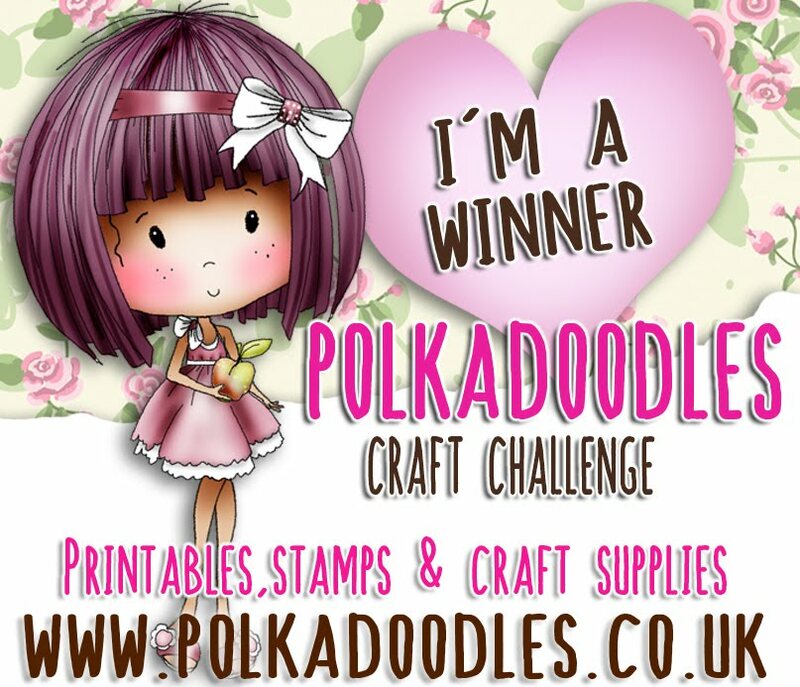 We'll see you back here Friday for another fab Polkadoodles challenge!